A great pair of AR58s speakers brought back to life! Kit worked perfectly. 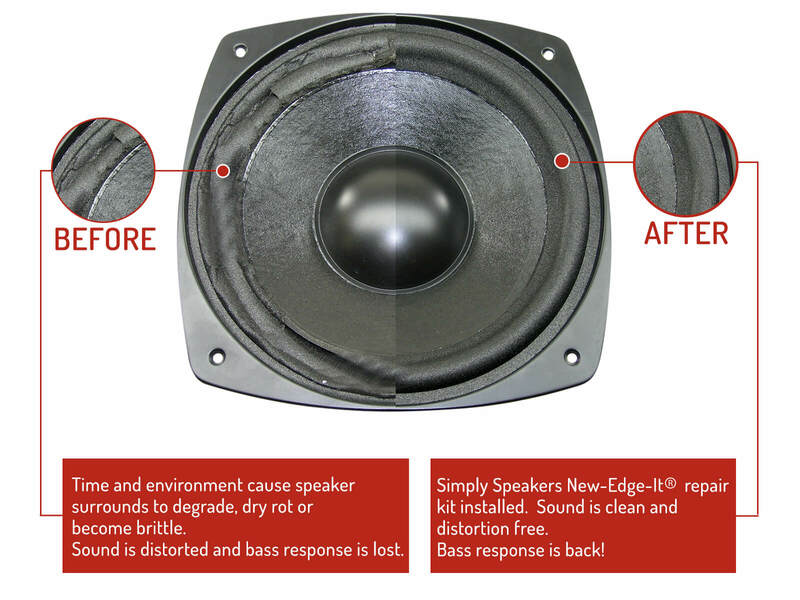 The foam suspension on my AR 9 12" woofers had deteriorated to the point that they were buzzing. The repair kit and written and video instructions worked perfectly. The bass is as good as new. So much cheaper than replacing the entire unit. Great product and customer service is excellent when you may need help. Instructions were good. It helped to view a couple of on-line videos of the repair procedure. 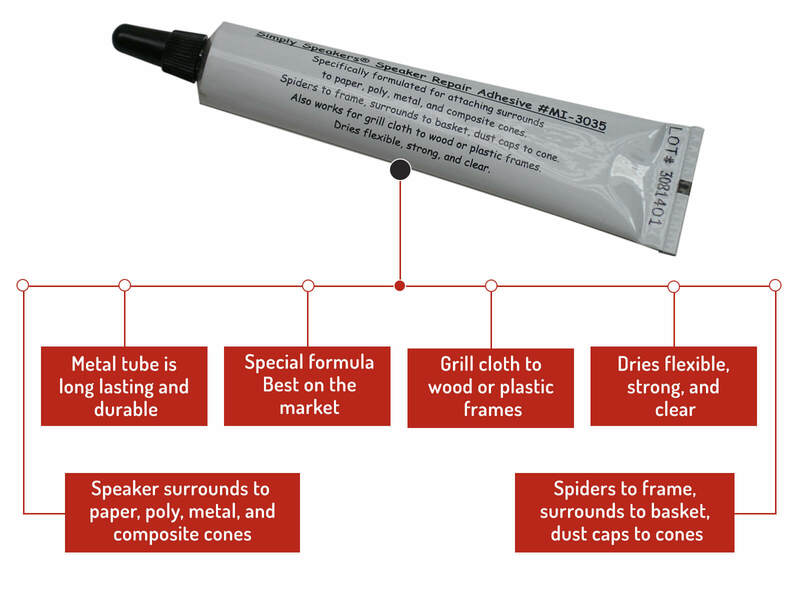 The repair steps were fairly easy to do, but time and care are required. The final results were great and the speakers sound wonderful again! It was all ok and rapid. Many thanks. tourincom. A: Yes! 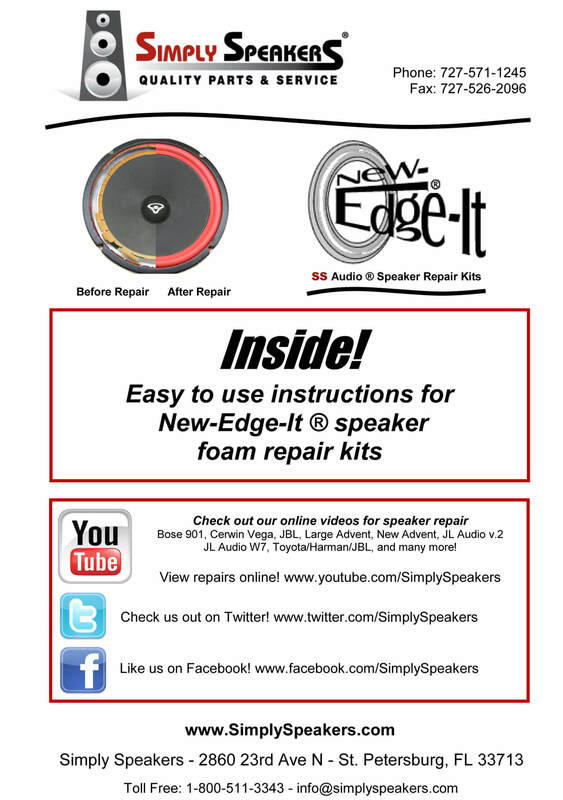 This is the correct kit for the AR-3a speaker system. 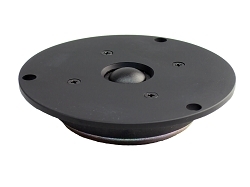 Q: Does this item fits with AR200003 Woofer from Acoustic Research 98LS? 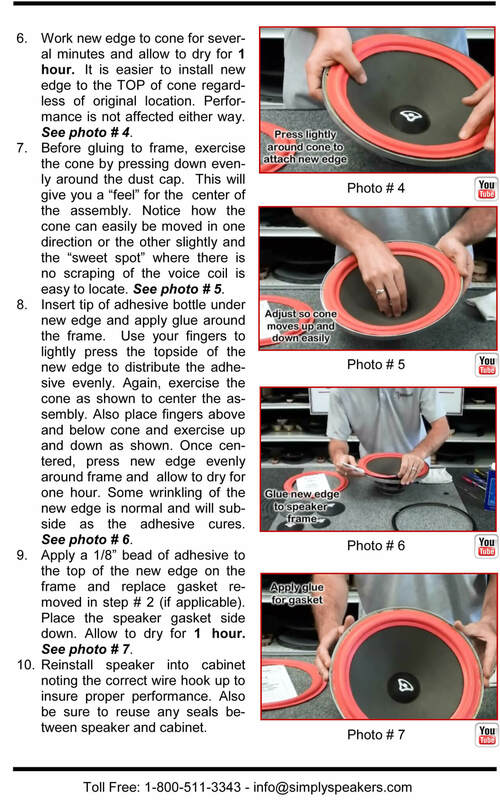 (dimensions are 12" (300mm) in specifications brochure) Is the 11" foam right for it? A: Yes, this is the correct kit for the AR98LS woofer. Thanks! 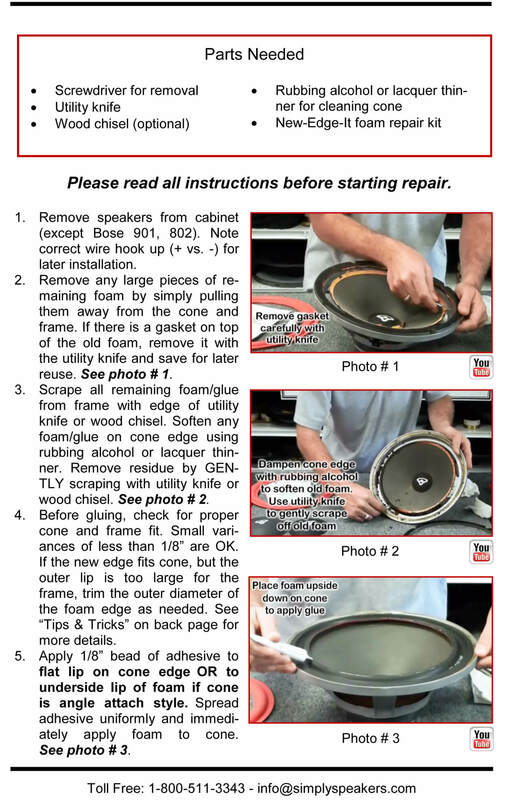 A: No, please order ONE kit to fix both speakers. The kit is sold as a pair package. Q: I have Acoustic Response audio /video monitors series 707. With 12" woofers. Will this kit work? 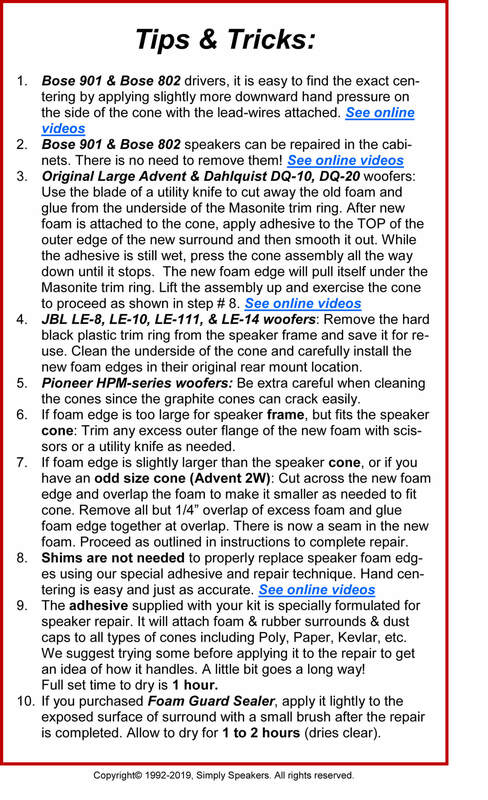 Q: What kit is for at 58 b 12 woofer ? 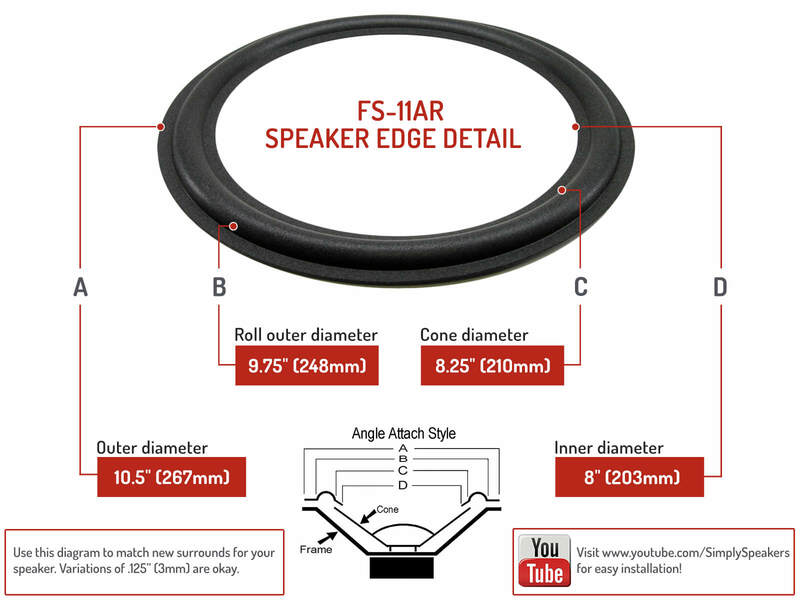 A: This kit part # FSK-11AR fit the Acoustic Research 58b. Thanks! Q: Will this kit fit the TSW 610 speakers? A: Yes! 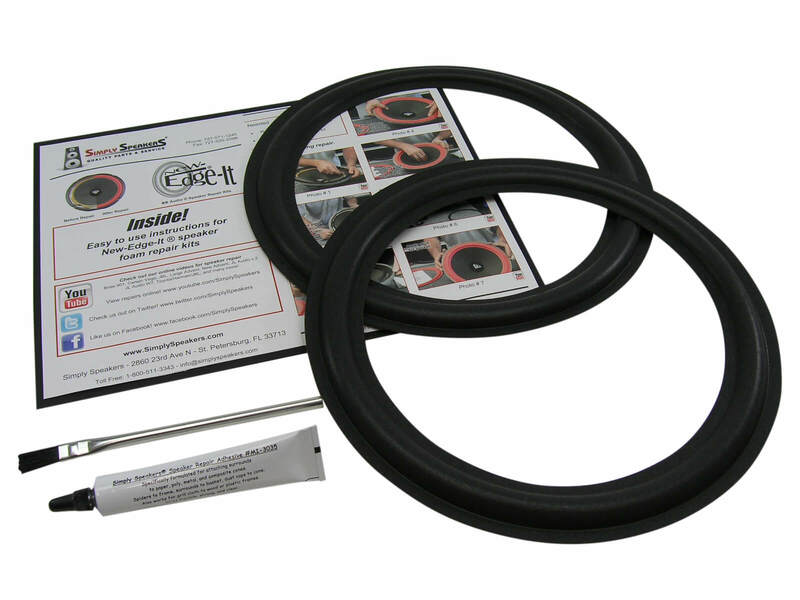 This kit is designed for the woofers in your TSW-610 model . Acoustic Research (AR): AR-3, AR3, AR-3a, AR3a, AR-9, AR9, AR-10 pi, AR10pi, AR-10, AR10, AR-11, AR11, AR-58, AR58B, Connoisseur 50, 50C, 55BX, 58BX, 58BXI, 58S, 58SU, 58LS, AR-91, AR91, 915, 1210003-2, 1210003, 1210079, 12200003, 1210079-0, 200003, 78LS, AR-98LS, AR98LS, AR-9LS, AR9LS, 9LSI, AR-LST, LST, TSW-610, TSW610, TSW-910, TSW910, and many more!